One of the most powerful tools for communication and connectivity, the Internet has taken the world to each and every house with just a few clicks and taps. In addition to that, the onset of live video streaming in these few years has changed the ball game drastically. Live streaming services have now become the part and parcel of corporates and other firms and have now turned out to be a major role player in building client relationships and also augmenting sales. It has helped both big and small companies to expand their reach in the market and leave lasting impressions. Live streaming for businesses and corporate events are a wonderful way of engaging, educating, sharing vital information with the audience all at the same time. A new viewer is added each day to the hub of webcasting and broadcasting. 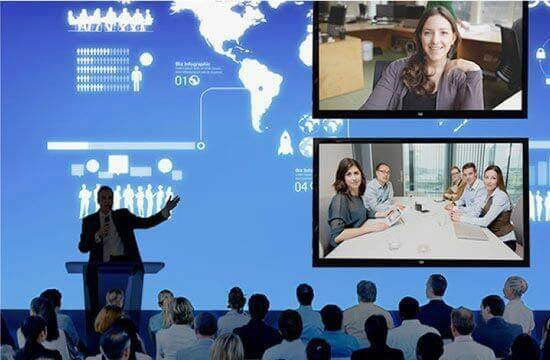 There are various companies involved in the corporate live streaming of events and this live streaming is used for town-hall meetings to conferences and for seminars to shareholder meetings. When it comes to using webcasting, live streaming in businesses, the sky is the limit. This novel way of sharing knowledge can be now taken up to remote areas as well and shared with people all around the world. Now all one needs is a resilient internet connection and a smartphone or a laptop or any other smart gadget to get connected to these meetings. The dynamics of world conferences have gotten a new dimension, all thanks to services to broadcast corporate events. In terms of cost-cutting and being frugal, these services are great boons. It does not need heavy gadgets or extra physical upgrades. Most of the capital spent is a one-time investment and it slashes the cost of the venue, travel, and associated logistics drastically due to its virtual nature. And, internet speed and connectivity that was once a roadblock is now available at a snap of a finger. Millennials have an access to supremely fast, resilient and well-established network connection. Our streaming and webcasting company, Dreamcast is unparalleled in providing business services to broadcast corporate, personal, and educational events at extremely cost-effective prices. We have recognized the future of live streaming and are striving to use it to its full advantage and deliver nothing but the best to our clients. We bring to you live streaming, webcasting services that will allow you and your brand to reach new heights of success both locally and globally with our complete end to end setup and superior HD quality. We at Dreamcast aim to provide flawless live streaming, YouTube streaming, IP based streaming and the like among a host of other services according to your best-suited needs. We are associated with various companies and content providers for private screenings, conferences, corporate events, music concerts, educational purposes and the like in all major cities of India like Delhi, Gurgaon, Mumbai, Pune, and Hyderabad. Connect with a large number of audience instantly and showcase your event with our accessible services anytime, anywhere!